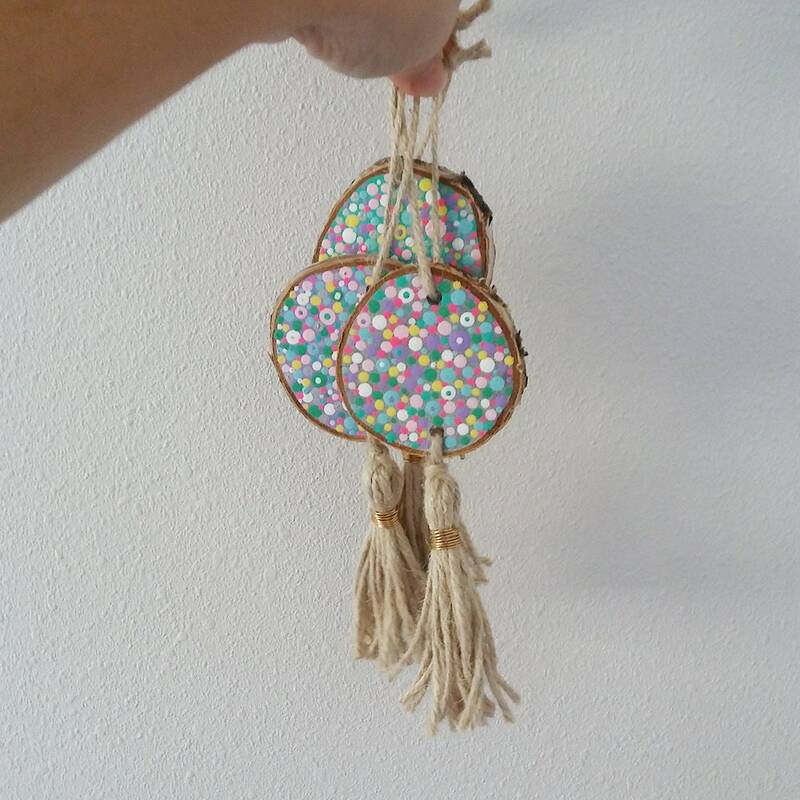 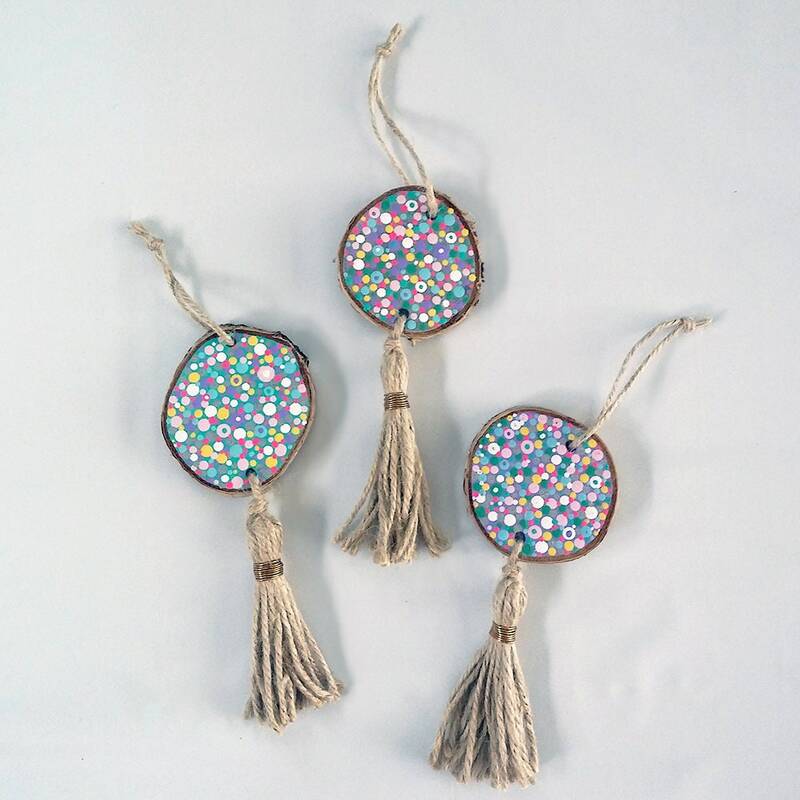 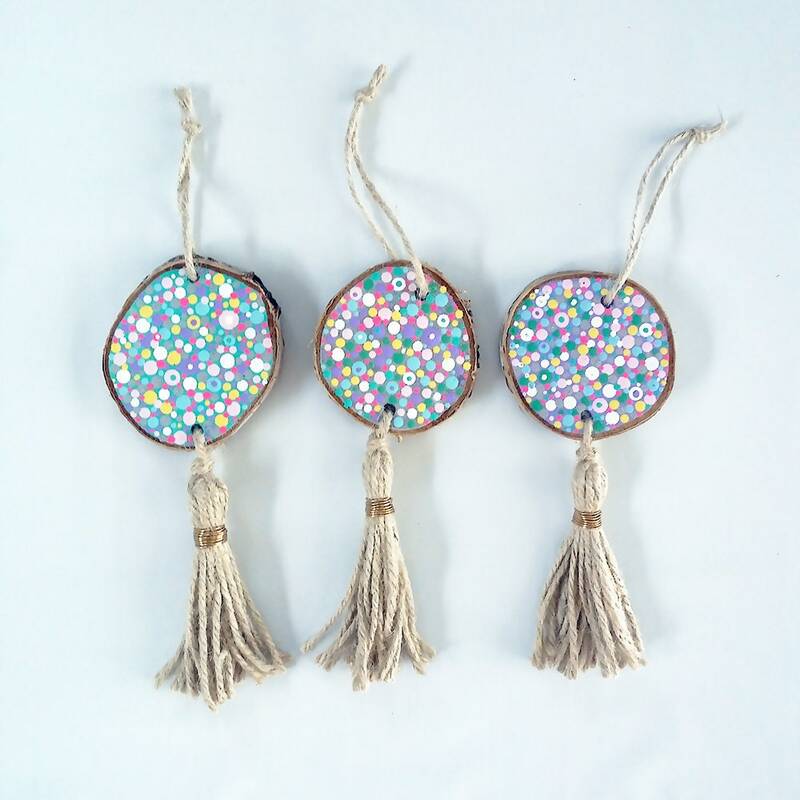 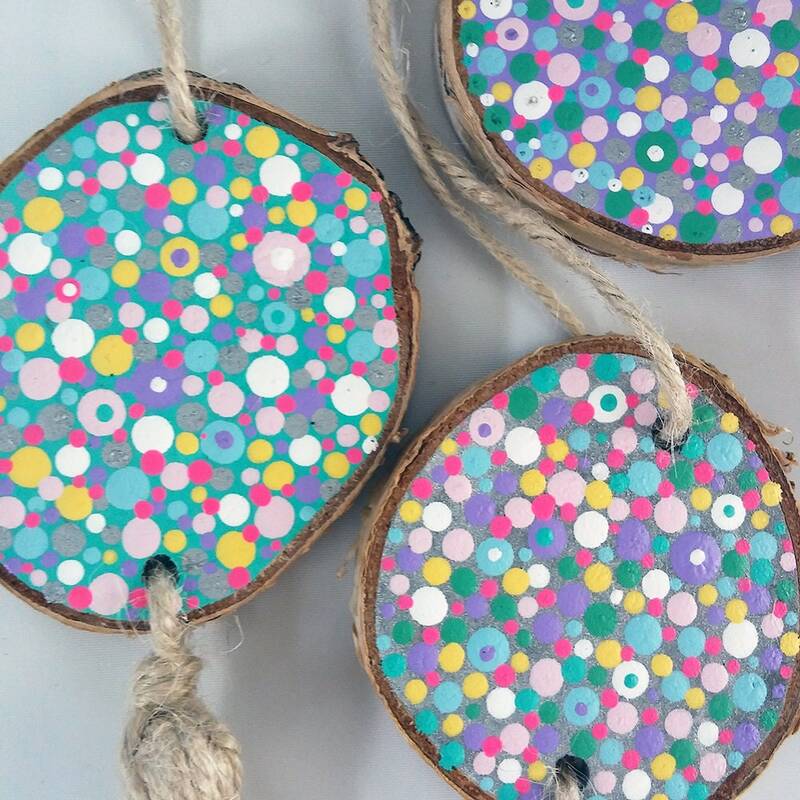 These wood tassel ornaments are hand-painted with a retro-color dot motif and ideal for those who love colorful decor. 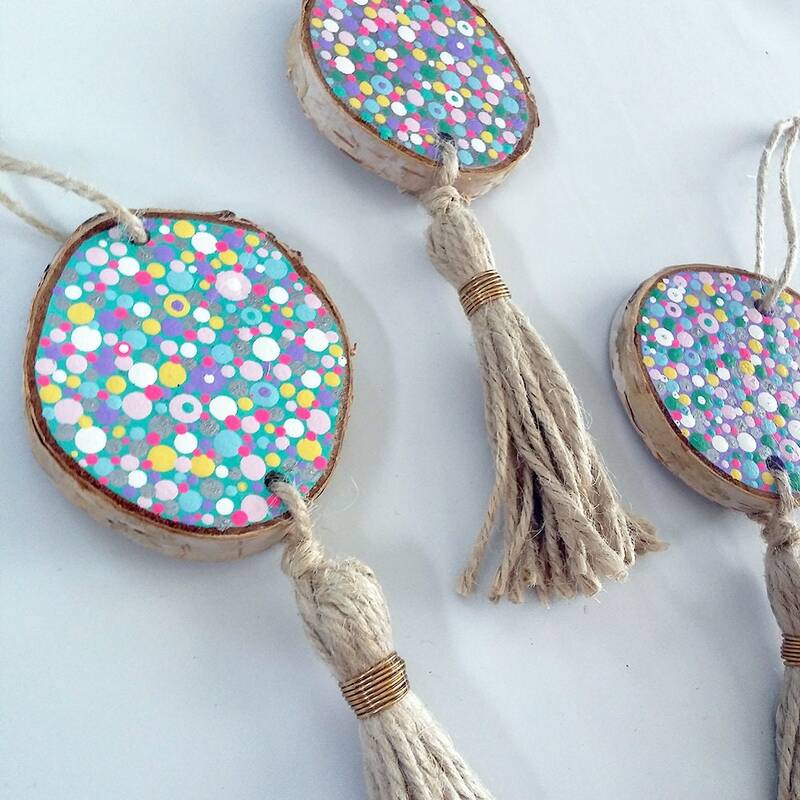 Decorate a small space, wall, or tree. 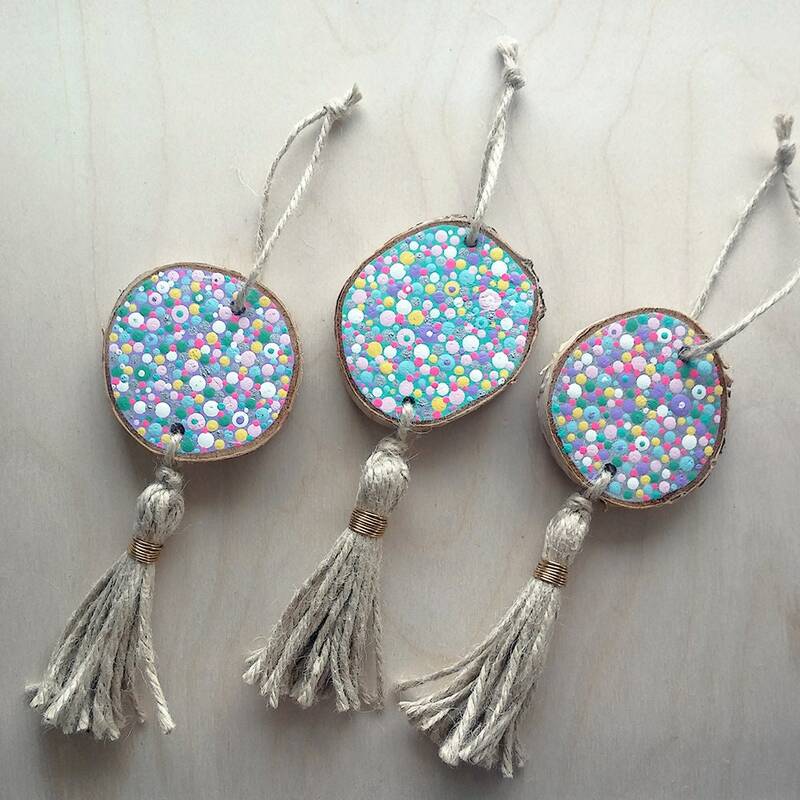 Average length is 9"
Each ornament will have it's own unique characteristics.